Software provides two modules to create student ID cards, choose any one module. Here we have selected Live Group and Batch Processing Mode for demonstration purpose and then Start with new Project. 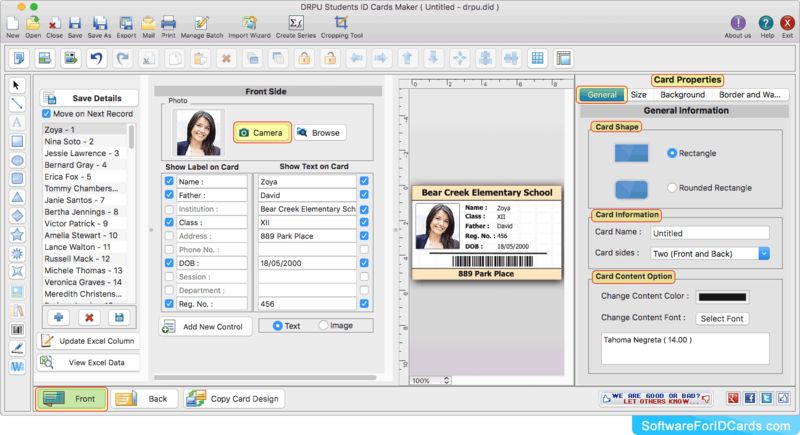 Software provides various pre-defined ID card design samples, choose any one template and click Next button. Select Excel Column for their respective ID card fields and click Next button to continue. Now you can design or modify student ID cards according to your requirement using various advanced features available in software. 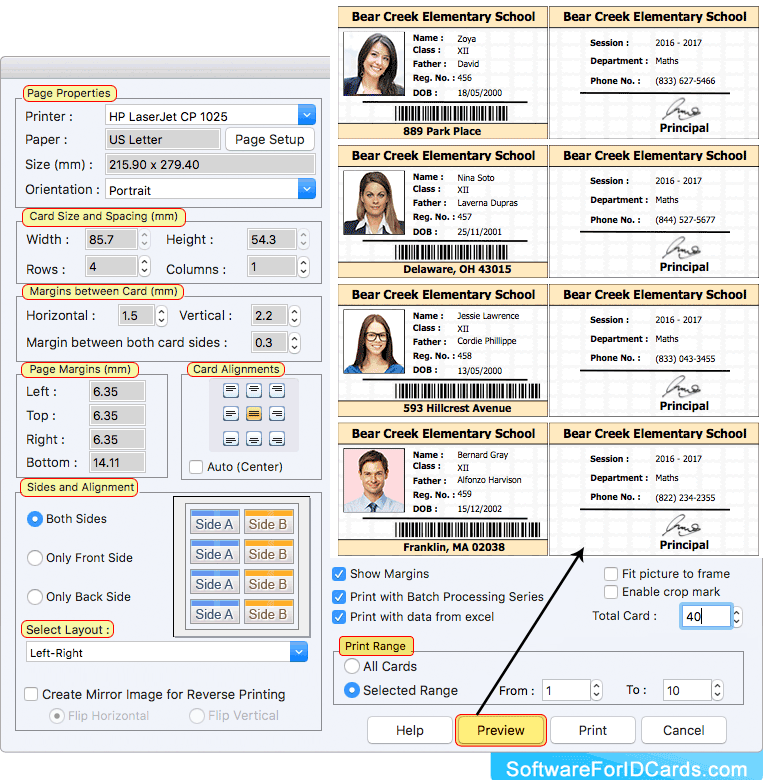 Fill various print properties and click on Print button to print your designed student ID cards. To see the preview of ID cards, click on Preview button.